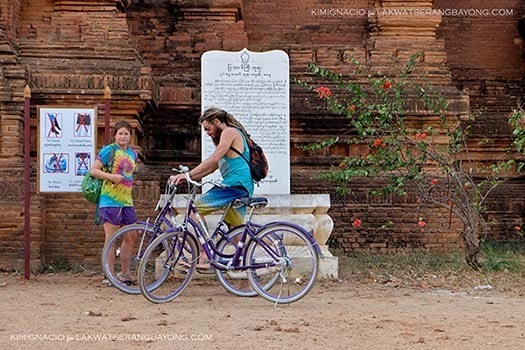 Bagan - home to over 2000 pagodas and temples is 700 kilometers north of Yangon and 9 hours by bus or 15 hours or more away by train. We took the 9 hour bus route and slept through the entire duration of the trip. 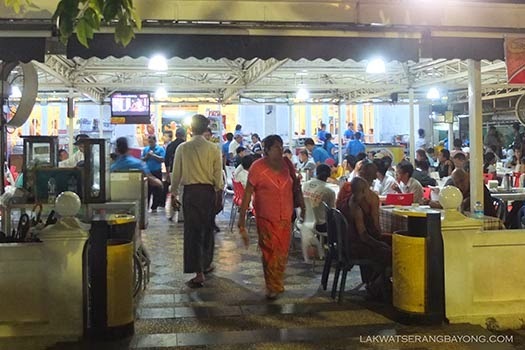 We left Aung Mingalar bus station in Yangon at 9PM aboard the JJ Express VIP Bus and arrived at the Nyaung U terminal in Bagan at 6AM the next day. You can buy your tickets from Aung Mingalar bus station. 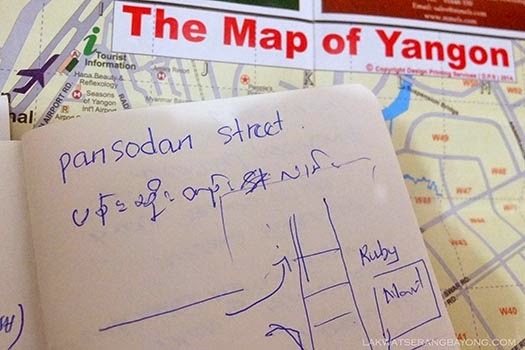 But since the station is a little too far from the city center, about 45-60 minutes away depending on the traffic, the receptionist from our hotel recommended buying from Pansodan Street instead. The street houses a few travel agencies and is just walking distance away from the little India. 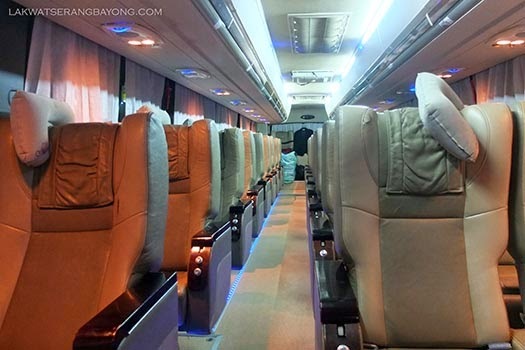 JJ Express VIP Bus, 25USD/pax; comes with a spacious leg room, reclining seats, neck pillow, a blanket, a snack pack, bottled water and a wet mini-towel. Downtown Yangon to Aung Mingalar is about 25 kilometers and it's a good thing that we left our hotel with plenty of time to spare as it took us 1 hour and half to get there with the traffic so bad and even if our driver was weaving in and out maniacally. The trip was uneventful and a stewardess informs every one of the pit stop through a speaker. The first stop was within the first hour, 20 minutes long and compulsory; the driver turns off the engine and locks the bus so you have no choice but to get off. I suggest you go to the loo and do your business as the next stop will be after 6 hours and will be a quick one. 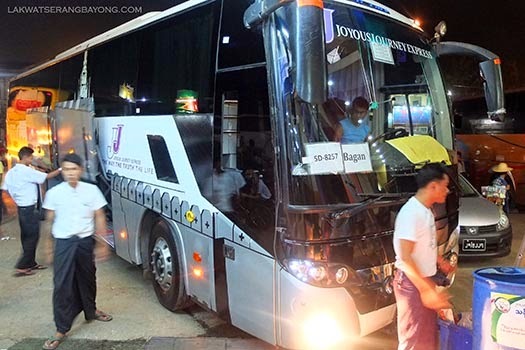 Bus liners in Myanmar are notorious for their loud Burmese music playing on loop for the entire journey (night and day), but thankfully we didn't have this problem with JJ Express. The road itself is paved all the way and it was a smooth drive all the way to Bagan. The day time bus back to Yangon via Mandalar Minn Express is a different story and we had to sit through 9 hours of Mariah Carey and Celine Dion's Burmese rendition of All By Myself in between Burmese soap operas. On full blast. Bring ear plugs. 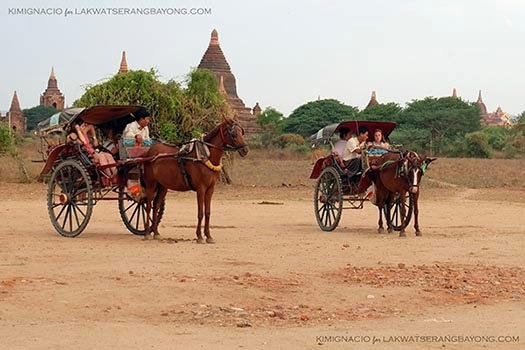 Bagan’s bus terminal is 30-45 minutes from New Bagan where our hotel was located and to get there we hired a horse drawn carriage that costs about 10,000 Kyats or 10USD. Taxis are more expensive at 15000 to 17000 Kyats. 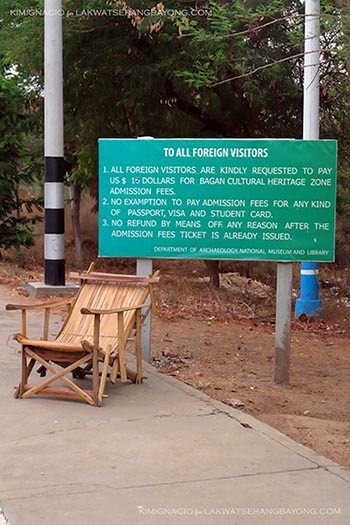 A compulsory admission fee is required at 15USD/EUR per person. Take your admission ticket when you do your temple runs as they might be checked at the entrance of some temples and pagodas. You have 4 choices, rent a bicycle, motorbike/electric bike, a horse cart and an air-conditioned private car/van. Keep in mind that the roads to most temples are sandy and dusty. Take a bicycle if you are fit enough to handle a good work out on a 40 degree weather. A motorbike if you are a little out of shape. A horse cart can provide you a little shade from the scorching heat of the sun but you might want to take the back seat facing away from the horse’s bum as it sometimes lets out explosive gaseous emissions. Again, learn from our mistake. It is good to travel such place because you get to learn how rich and colorful their history and culture is. You also get to see in a closer view it nature's beauty.